The first thing I opened was a stocking stuffer / not actually in a stuffer as I am a little big now. Its a Starbucks mug! 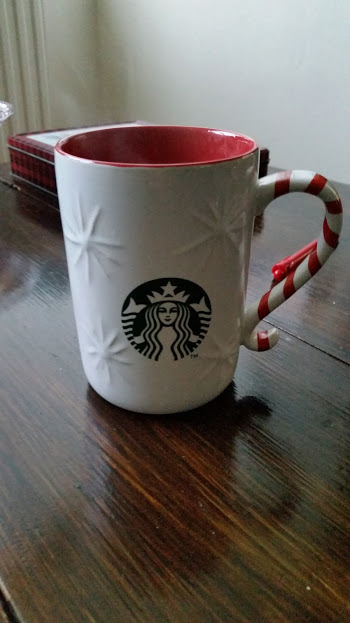 I have wanted one of these for ages and was very pleased to see one waiting for me, they make the ideal size for any hot or cold drink and the pretty candy cane handle is adorable. The present I opened last but wanted to share first was the best one, the annual Soap and Glory mighty set. I got a similar set two years ago and am still finishing the butter off, showing how long it lasts. My face when I opened it up this year was a Kodak moment as I couldn't be happier. 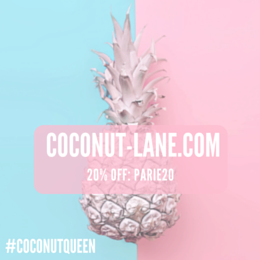 It comes packed with all their best bits in skincare and two makeup bits. There really isn't an order to the gifts I got, I have just piled together what I could find and took a photo of them. The PJ's in the middle are from Primark one of my Christmas traditions and this year gifted from my grandma's. 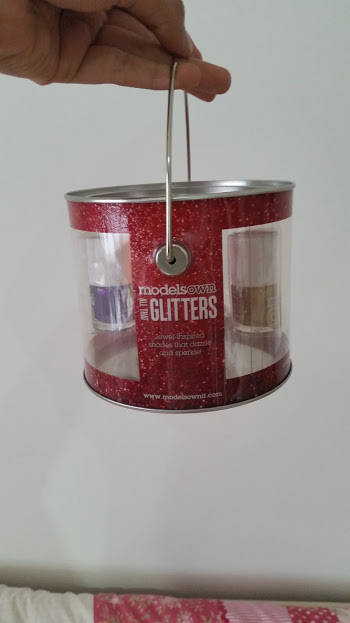 The presents above were from members of my lovely family, the models own glitter set is a bauble full of mini trinkets and a little nail file. Two new gorgeous pieces of Jewellery to go out in and wear without feeling like I'm wearing too much. These next few bits are from my brother and parents, a lot of shiny things. Can you tell that I am very easy to buy for? 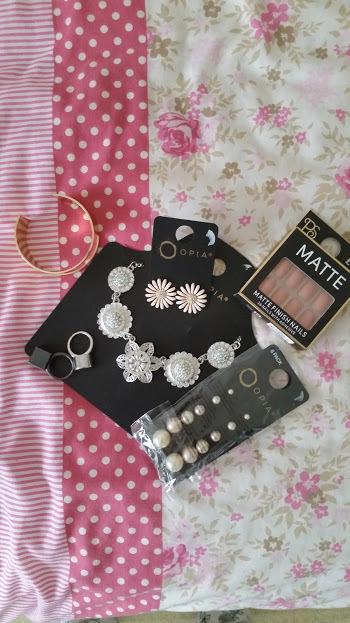 The bits from Primark are absolutely gorgeous and match items that I already own, the pearl earrings are because my mum believes they look professional in my line of work. Ooh and the Matte nails are to die for! I will be picking more of them up on my next trip to Primark for sure. 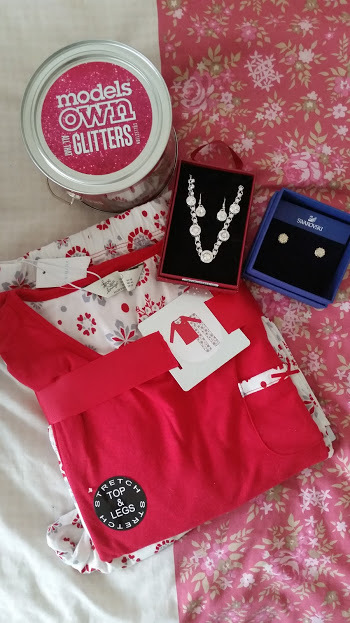 I have saved the very best/ high end presents for last because these are the ones I have to talk about and photograph before using them #bloggerproblems. 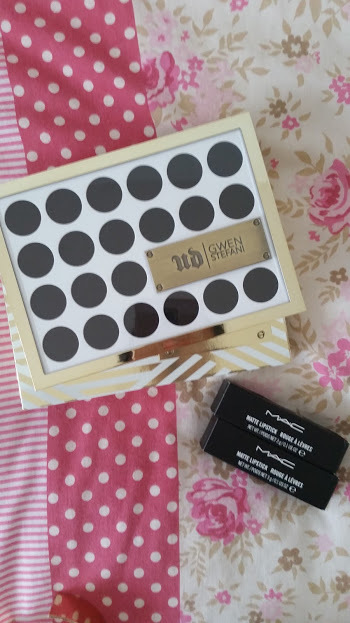 The Urban Decay x Gwen was at the top of my list, every time I go to buy it the sign Sold Out appears. Somehow Santa managed to find it and wow-ee I can't stop staring at it yet alone use it. Then two fancy new MAC lipsticks one in Taupe from my brother oh haven't I taught him well and then Mehr from my grandma's! I have fallen in love. I am very thankful for all the gifts that I got as well as these I got lots of chocolates and lush things that have been used up already oops. Hope you all had a wonderful christmas!